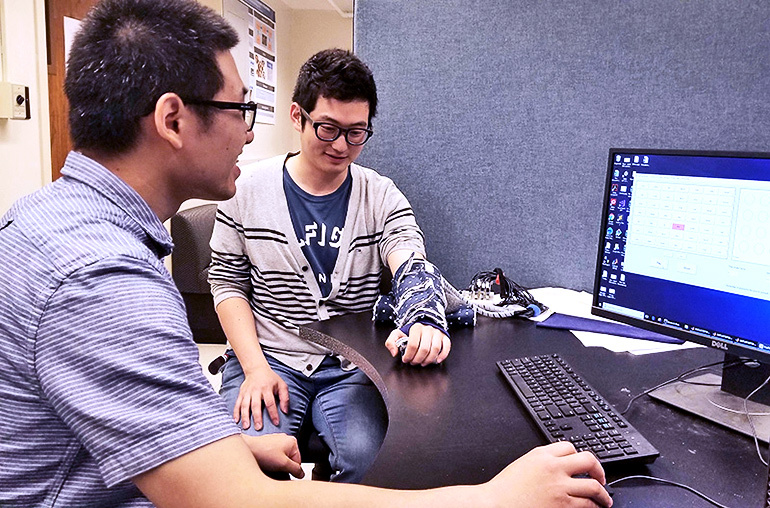 Researchers have created a method for haptic communications that lets users receive messages through the skin on the forearm by learning to interpret signals such as a buzzing sensation. Hong Tan, founder and director of the Haptic Interface Research Laboratory at Purdue University, says that, while the research lends itself to use by hearing-impaired and visually impaired users, the method could work well for any number of possible uses. Tan says the researchers mapped the 39 phonemes (units of sound in a language that distinguish one word from another) in the English language using signals from specific tactors. They made sounds of consonants such as K, P, and T stationary sensations on different areas of the arm and vowels indicated by stimulations that moved up, down, or around the forearm. Research results show the phonemes worked better than a word-based approach by providing a more consistent path for user learning in a shorter period of time. Performance levels varied greatly among the test subjects for each method, but with the phoneme-based approach at least half could perform at 80 percent accuracy while two subjects reached 90 percent accuracy. For the study, the researchers developed a concentrated, intense training regimen where the test subjects worked for about 10 minutes a day. The researchers then tested the participants on their progress. “People who are hearing-impaired may be motivated to spend additional time to training themselves, but the general public probably doesn’t have the patience,” she adds. The researchers presented their work at the EuroHaptics 2018 conference in Pisa, Italy. Facebook Inc. funded the research.